The week started with good news for our Hearthstone boys, who received invitations for the Hearthstone Global Games selection process. Chinoize for Belgium, Purple for Canada and Gallon for the United States will try to be elected as member of their national team for this HGG season. 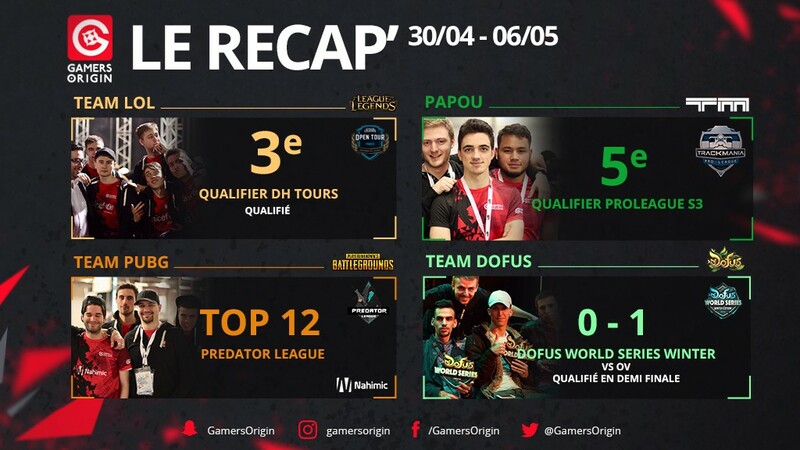 GamersOrigin Dofus roster has already qualified for the playoffs of the Dofus World Series – Winter Edition. After a loss against OV, the team on top of the leaderboard, we ranked 3th out of 8. Since our players have no official match to play before semifinals, we will train hard to be ready to claim a second title in a row. The PUBG squad ranked 12th of the Predator League, and then prepared for Auzom Premier League relegation tournament. With a 12th place in lobby B1 and another 12th place in lobby A2, the team ended too far from top 16 and from a qualification. TrackMania Proleague season 3 qualifiers were held this weekend and Papou didn’t make it on the first races. He has another chance to qualify alongside Aurel on Wednesday. Pac, Cap and Cocow have already qualified and will represent GO during the next season. 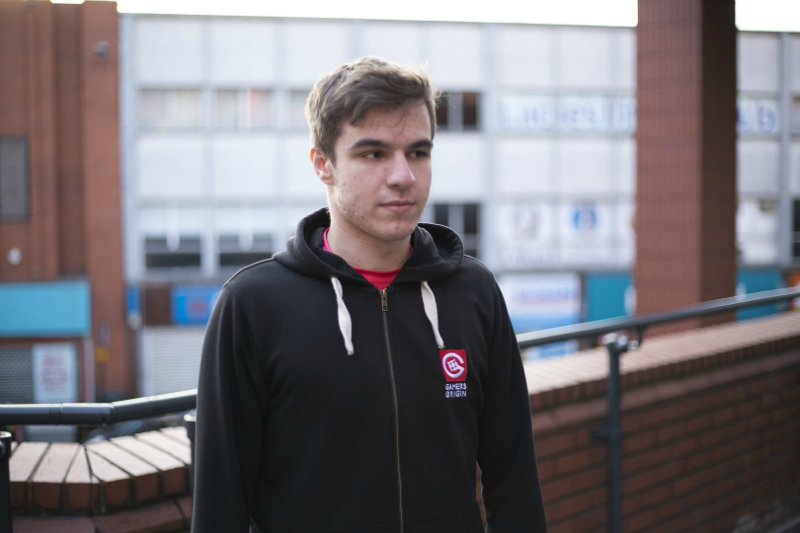 GamersOrigin decided to let its support Aurimas “Pulsas” Morozovas go. We are grateful for everything he brought to the team and wish him luck for his future projects. DreamHack Tours qualifier was this weekend, and Pulsas’s departure was compensated by Morgan “Hustlin” Gramberg, a former LCS player in Giants who recently played the European Masters with Ninjas in Pyjamas. It was quite easy, except in round of 8 against Made in France, until we faced Vitality Academy on semifinal. Their team played with two new recruits, including our former jungler Bluerzor. Our captain Tonerre decided to play a pick he loves: Yasuo. Unfortunatly Vitality Academy carries gave them an early advantage and we couldn’t stop them, despite a game full of kills and teamgfights. 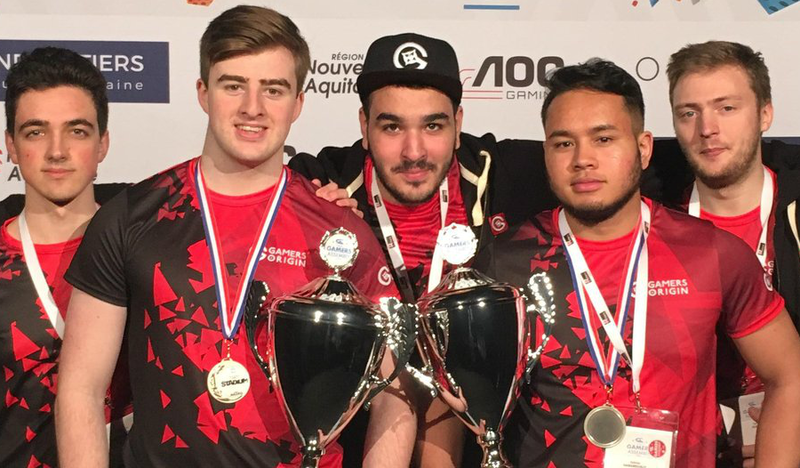 Then, GamersOrigin managed to defeat LDLC in the bronze medal match. Since we qualified for DreamHack Tours, we will focus on the beginning of the tournament on May 19th #GOWIN !